The 200th Puma infantry fighting vehicle earmarked for the Bundeswehr has just rolled off the assembly line at the Rheinmetall plant in Unterlüß in Lower Saxony. It is also the 100th Puma manufactured by the Düsseldorf-based tech enterprise, part-owner of the joint venture tasked with producing the vehicle. The jubilee vehicle will soon be arriving at the Bundeswehr’s force integration organization in Munster a.d. Örtze, likewise located in Lower Saxony. The Puma IFV is the raison d’être of Projekt System & Management (PSM) GmbH, the fifty-fifty joint venture of Rheinmetall and Krauss-Maffei Wegmann in charge of developing and producing the vehicle as well as providing subsequent in-service support. (Each of the two partners is responsible for manufacturing half of the vehicles on order.) Just attained, this milestone shows that production of the Puma is in full swing and proceeding according to plan. 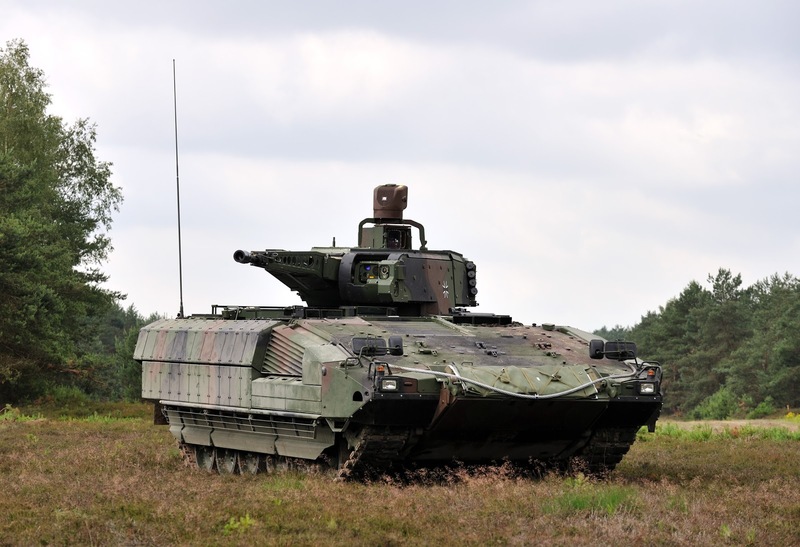 The state-of-the-art infantry fighting vehicle is currently be integrated into the force structure of the German Army. Delivery of all 342 combat vehicles, which commenced in 2015, is scheduled for completion in 2020. In addition to the IFVs, the Bundeswehr has also taken delivery of eight driver training vehicles. With the introduction of the Puma IFV by the Bundeswehr, the German mechanized infantry corps now has a new mainstay, one that represents a major departure in armoured vehicle design. The most advanced system in its class, the versatile Puma is perfect for operational scenarios in every climate zone. It sets new standards with regard to battlefield lethality, mobility, command and control, and situational awareness. Besides an array of modular, highly effective force protection features, the Puma boasts massive fire power and excellent network-enabled operations capabilities. This new infantry fighting vehicle is roomy enough to carry nine soldiers, yet compact enough to be airlifted into the theatre of operations in an A400M military transport plane. How long has this program been in place? How long has it taken them to manufacture 200 of these vehicles? Ya know when it comes to the next peer vs peer conflict it won't come down to tech like everyone believes. The next war will be decided by logistics. Who can replace wartime losses the quickest! Who can move vehicles/planes/ships from storage to the battlefield fast enough to maintain the attack or to bolster the defense! At the end of the day, future conflict might boil down to old skool industrial capability.